Attendees voted for the “Idol” who gave them the best GP tips in the “Dynamics Idol” contest. Abra Gilman and Sarah Salzman, seen prepping while the contestants took an onstage selfie, moderated the session. 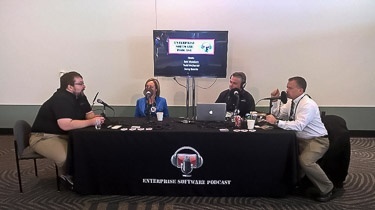 There were numerous “tips & tricks” type sessions that provided attendees with practical knowledge that they can use in their day to day lives to get more out of their ERP and CRM software. This, in my opinion, is the heart of why users come to Summit. 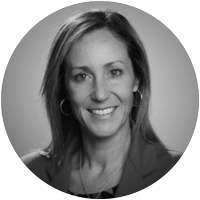 For the real-world learning that helps them do their own jobs more efficiently. There were also some pretty awesome general sessions, like the keynote presented by real-life action hero George Kourounis on How to Use Fear to Your Advantage. 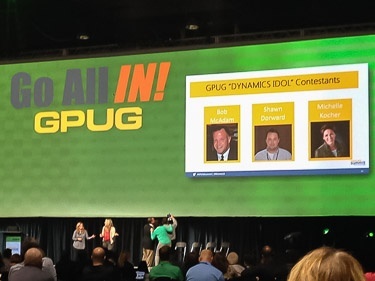 I, for one, was happy to have this session just before the NAVUG general session, during which I moderated a panel of executives from the NAV community in front of a record-breaking NAVUG attendance of 700+! Being personally involved behind the scenes like that gave me some insight into just how much work goes on to put on this type of event. 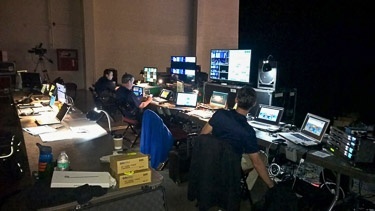 And from making sure the dozens of speakers had their sound and presentation materials, to signage throughout the convention center highlighting different members, to a “Wow wall” that looped through interviews and videos for passers-by to watch, the team at DCI made it all look easy. In addition to all the great sessions, many users attend so that they can learn about extended solutions to enhance their Dynamics ERP and CRM. 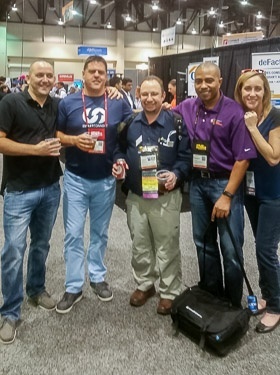 The expo hall was just the right size for everyone to get a chance to talk to all their favorite ISVs. All the exhibitors I spoke to were pleased with the traffic at their booths, and all felt like they made some great connections with the users in attendance, whether existing customers or users who may need help from their solutions. This is one of my favorite events of the year, and I’m ridiculously excited that it’s going to be held right here in my hometown of Tampa, FL next year. 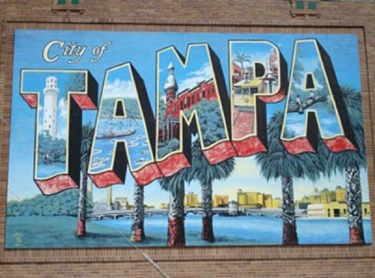 I’ve already marked my calendar for hundreds of breakout sessions, great networking, CPE credit opportunities and more at the User Group Summits in Tampa on October 11-14, 2016!